Dreams are a part of the human experience. They can be entertaining, bizarre and slightly scary to terrifying for some people. Do you remember your dreams? Do you feel like you don’t dream at all? Do you have lucid dreams (where you feel in control while you dream)? Maybe you have bad dreams, or even night terrors. Perhaps you even sleep walk. Why do our brains create these stories while we sleep? What is the brain doing at these times? Can we do anything to promote pleasant dream experiences? Can we endeavor to be more aware of dreaming and even have some degree of control of the events in our dreams? At this point in time, we have many questions when it comes to our sleep state. Scientists continue to obtain and study data to further understand this mysterious phenomena. Essential oils can be very helpful if you are having trouble sleeping or experiencing unwanted dreams. Certain oils are known to induce a relaxed state of mind leading to a more pleasurable sleep experience. Why Do We Dream? Why Do We have Nightmares and Bad Dreams? Since the begining of time, we have been trying to analyze and interpret dreams. Ancient cultures often considered dreams to be mystical and divine communications. Many great thinkers have suggested dreams may be the platform in which we deal with our unconscious and unfulfilled drives. What role do dreams play in the processing of emotions? Are dreams an extension of waking consciousness? Do dreams provide us with a platform to play out challenging waking-life situations? What is the dream’s role in memory making? Are dreams a narrative created from electrical impulses generated during the sleep cycle? We don’t have all the answers right now. Dreaming appears to remain a mystery. What things might affect the way we dream? In my opinion, absolutely everything in our life will affect our dreams. Our genetics, our emotional and physical condition, shows we watch, food we eat, games we play, the essential oils we breathe LOL, etc. All these things will affect our brains thus they will affect our dreams. It is common for people to have bad dreams or nightmares after living through a traumatic experience. Has this happened to you? It has for me. Many years ago, there was very large tornado in my city. I was not hurt, but many were. I had nightmares for a few years after. So, I know, firsthand, at least for me, these nightmares were a direct result of the tornado. How and Why Would Dreams be Affected by Essential Oils? Of all our senses, our sense of smell is the strongest. A particular smell can quickly bring on a flood of memories and even change a person’s mood. Since (in my opinion) everything we experience can affect our dreams, it is therefore logical to believe that diffusing aromas that evoke peaceful thoughts and emotions will increase the likelihood of good dreams and a restful sleep. Until recently, the study of dreams relied on personal testimony. Dream reports and dream journals have been collected over time and they’ve provided invaluable data in the continued study of dreams. Dream information is still collected by way of testimonials. This is done in controlled sleep laboratories as well as home environments where the sleeper tracks and records the data. With advancements in technology, we are now able to now see detailed data of the brain while we sleep and dream. Using EEG (electroencephalogram) and f MRI (functional magnetic resonance imaging) scientists can now identify different stages of sleep including REM (Rapid Eye Movement) sleep and non REM sleep. Using dream reports, dream journals and new technology, scientists can now make associations between characteristics of dreams with certain neurological activity. This is pretty fascinating and I look forward to new findings in this area of science. Nightmares, Night Terrors, Lucid Dreaming…What Are They? A nightmare is a disturbing, often frightening dream that can happen at any age, although they are more common in children. These experiences occur during REM sleep (just like regular dreaming). Nightmares occur most often in the middle of the night or early morning. Waking up and being able to recall some detail of a nightmare is common. Night terrors can happen to both children and adults, however, they are more common for children. This phenomena happens in the transition from sleep to wakefulness and from wakefulness into sleep, and during deep sleep and in REM sleep. It has been suggested that multiple states of consciousness may be present during Night Terrors, Lucid Dreaming and Sleepwalking. Fascinating! It is reported that children do not have any recall of these experiences. Adults may remember small segments of the Night Terror the next morning. Lucid dreaming occurs when the dreamer is aware that they are dreaming and to some degree can control aspects of the dream. The dream may be very vivid as well. It is said that a lucid dream is a hybrid of consciousness, both real and distinct from typical REM dreaming. Do you have this experience? Are you someone that may want to dream in this manner? If so, essential oils may offer some assistance in that area. Can essential oils affect your dreams? Yes, I believe they can. Here are some recommended EOs you can try. Lavender is probably the most studied essential oil. It’s sweet and subtle floral aroma is known to promote relaxation and sleep. As an added benefit it can also help to reduce anxiety and depression. It is reported by some people to induce lucid dreaming. Mugwort has been used for thousands of years. Some people call it dream sage. It is believed to make dreams more vivid and promote better recall. Marjoram can help you settle and sleep. It can also enhance your mood and alleviate pain. It was also noted to help reduce snoring. Chamomile is a popular ingredient in nighttime teas due to its ability to induce sleep. Chamomile has been used to help reduce nightmares, night terrors and in some cases sleepwalking. Reported to work well to reduce nightmares. Its aroma is mild and pleasant. Cedarwood is reported to combat insomnia and encourage a restful sleep. Calms the mind and helps relax the mind prior to going to sleep. Encourages a sound and peaceful sleep. Vetiver has a strong earthy aroma. It is reported to reduce nightmares. This sweet, flowery essential oil encourages a deep, restful sleep which in turn promotes pleasant dreams. Some say it is as effective as conventional sleep medication. Geranium has been shown to reduce stress and anxiety. Apparently this oil is recommended by some sleep experts. It is noted to be quite stinky. If you find the aroma less than pleasant, I would recommend blending it with other sleep promoting oils until you find a mixture that you enjoy. Sandalwood essential oil has an earthy, rich, woody aroma. It is known to be a powerful relaxant and may improve sleep quality and duration. Bergamot (a type of orange) has been shown to relieve anxiety and improve sleep quality. It also has a soothing citrus aroma. Lemon essential oil is known to reduce anxiety and depression in some people. Feeling less anxious will lead to a better sleep. In some cases some oils may keep you awake while the same oils may induce a peaceful sleep for others. Sandalwood, lavender and citrus oils are known to be both stimulating and sleep inducing. Using essential oils is a personal thing. It’s all about trial and error. Take note of how you react to oils. Thank you for shopping with Your Aromatherapy Store! Adding essential oils to your bath water is a great way to get the relaxing and sleep promoting benefits of aromatherapy. Add your essential oils (mixed with a carrier oil) after the tub has filled with water. Swish the water around with your hand to distribute the oils. A good ratio for mixing your carrier oil with your essential oils is approximately 5-20 drops of oil per 1 ounce of carrier oil. If you haven’t done this before I would suggest using 10 drops per ounce of carrier oil as a starting point. Add a few drops of your favorite EO into a diffuser and your oils will be dispersed into the air for you to breathe. It’s that easy! Fill bottle half-way with Witch Hazel, Vodka or Isopropyl Alcohol and add essential oils. Shake, let sit for a few minutes. Fill to top with water, shake and mix. You’re done. Spray on pillows and sheets as desired. If you are concerned about staining, you could do a little spot test on an inconspicuous area. This mixture should last for a few months. Some people enjoy applying essential oils directly to their skin. Always dilute EOs in a carrier oil before applying to your skin. An easy way to apply oils topically is to blend your oils with a carrier oil and use Olilia Essential Oils Roller Bottles to apply. Most people like to dab oil on their wrists or back of their neck. Almost anywhere is fine, just stay away from eyes and sensitive parts. We don’t have all the answers when it comes to dreaming. Maybe one day science will be able to further explain what is happening to our brains at night. Perhaps you believe dreams are just random with no real meaning to our waking life. Perhaps you believe they are relevant with a real purpose behind them. In either case, I am sure most of us would prefer the dream experience to be one that is pleasant and not frightening. Essential oils are an easy way to promote a better sleep. A better sleep means better dreams and who wouldn’t want that? This has been a fun article to write. I hope you found it both interesting and helpful. Do you use essential oils at night to promote a better sleep, if so, what oils do you use? Do you experience lucid dreaming? Do you remember your dreams? I would sure be interested in your thoughts in this area. Please use the comment box below and share what you think. Have an awesome week! Sweet Dreams! I really enjoyed your post on essential oils. Very informative. Sometimes I have a really hard time falling asleep and staying asleep. Other times I don’t think I dreamed, and if I did I don’t remember a thing! I generally don’t recall my dreams either, there have been a few dreams however, that I can recall very vividly. What a fascinating phenomena! Take very good care and have an awesome day! My girlfriend has introduced essential oils into our household and we have several diffusers around the house. One is in the bedroom and every evening she turns it on. I have not paid any attention to if it has any impact on my dreams, but now I am aware of it, I will. I bet your home smells wonderful! Essential oils have a great many benefits for us. I would be curious if you try Marjoram and if it helps with the snoring. Please return and let us know. It’s great to hear from you again. I am so glad you enjoyed the article. It was great fun writing it! In regards to Sandalwood, Lavender and Citrus oils: They are oils that may be stimulating when you are looking for sleep inducing. Some people find that these oils end up having the opposite effect. Which in turn, makes them great oils to use during the day. You can certainly mix these together if you like, or use individually. A great thing about essential oils is that you can blend and create personal recipes that work for you. 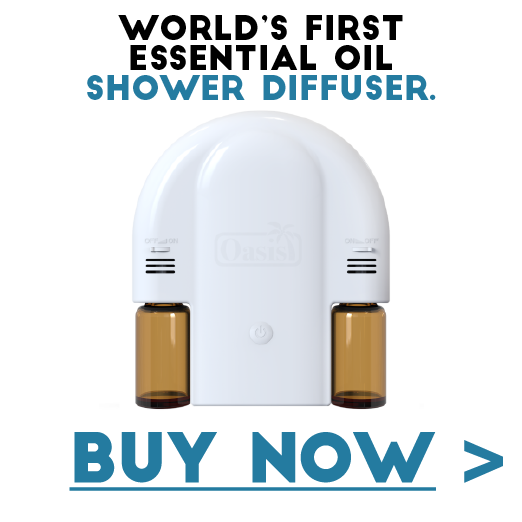 You might be interested in reading an article about blending essential oils. I will leave the link for you. Thanks again for stopping by! Take great care! Hi, I learned a lot about all the different essential oils for sleep. I usually just use lavender. I like to either diffuse it or spray it on my pillow. I may try mixing a few oils and put them in a roller bottle and try using it diluted in Jajoba oil. (I just got my order of roller bottles that I ordered from your site) They are awesome! Thanks for recommending them. Thanks for stopping by. I am so happy that you received your roller bottles…..it’s pretty exciting to mix and blend oils for special people in your life….yourself too. I hope you have a blast with your creations. Please stop by again and tell us how the bottles worked for you. I love it. Adore it. You are so right!!! I love Cedarwood too! It reminds me of being a child. My parents had a big cedar chest that they kept special things in like photos, letters, certificates, memorabilia. Cedarwood always takes me back there when I smell it. Thanks for stopping and have an awesome day! Thanks for reading the article. I too, enjoy this kind of stuff. Drop back again sometime, it’s always good to hear from you Amanda! I am fascinated by the dreams I have and also other people, I have also found dreams to effect my moods during the day as well. On a couple of occasions in the past my wife has been short with me and moody, when I asked her why it was because I had done something in HER dream that she had carried over in real life! I think dreams are fascinating too. I’ve had a couple of dreams that I recall really affected my mood upon waking up. It was the same scenario as you described, my husband had done something in the dream and I was not happy with him. Interesting to realize the strong connection to our mood isn’t it.